Welcome back to Toy Aisle, io9's roundup of the most interesting toys we’ve seen this week. It’s a Guardians of the Galaxy blowout as we’ve got life-sized Groots, creepy plush Groots, and a fancy cassette player. But wait—there’s more, including a very swanky David Bowie figure and a very large Iron Man. Check it out! 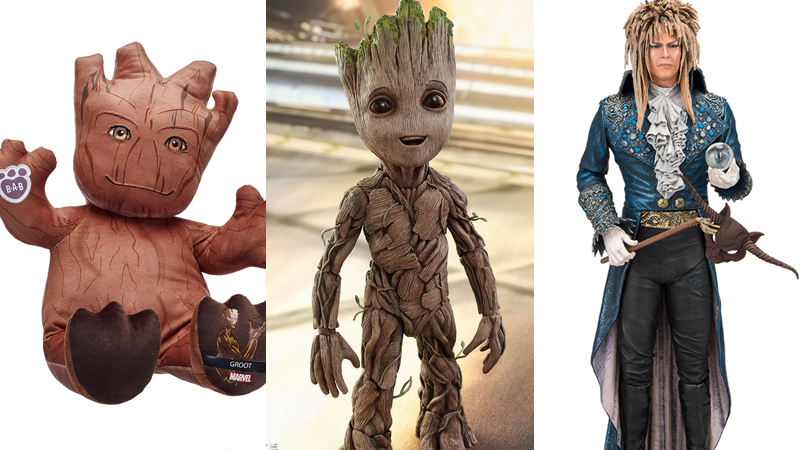 The make-it-your-self plush toy company has revealed its latest tie in the form of a truly horrifying rendition of Baby Groot from Guardians of the Galaxy Vol. 2—the latest in a line of creepy takes on the actually adorable little sentient tree fella.